Her kan I læse et brev som jeg har skrevet til en yogi. På engelsk. 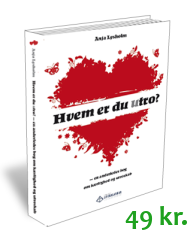 Brevet handler om at relatere åbent, polyamori, køn, tantra, en flydende og mangfoldig tilgang m.m. At this year’s Tantra Festival at TantraPlace I attended your presentation about open relating. What a wonderful presentation! What a treat! Thank you! I have been part of the Danish polyamory network and have a long personal history of relating openly. And my approach has been about relating openly, instead of trying to establish some kind of open entity, e. g. the open couple or the open relationship. Relating openly is process, activity, development. It’s comprehensive. Much in our everyday lives can be about relating openly, certainly not only heterosexual couple constellations. You have presented many wonderful words for that. I could not agree more, you expressed much of what I have practiced and articulated for many years. Much of the Danish tantra teaching and practice seems to be about assuming “the masculine” and “the feminine” in ways that I find restricting. At the Tantra Festival there was, for example, a workshop (I noticed you participated as well) where men were asked to stage themselves as warriors. While women were encouraged to act out the role of someone motherly, e. g. forgiving in relation to the men’s misdoings under war. I am a pacifist. And I can’t see the advantages of cultivating this kind of two-gendered approach. What is considered “typically feminine” and “typically masculine” even seems to be different in the different countries I have visited. Plus I prefer approaches that are fluid, and appreciate diversity and specificity. My love to the people I love is about them, specifically them, not somebody else, about what they do (and they are what they do), about how they have developed, in the moments I meet them – it’s not the love of some construction of an eternal masculine or feminine stereotype. So far I have not found tantra places in NordicCity that are about relating lovingly and openly beyond an odd gender binary. What about other gender constellations? Worshipping all the people with all their genders lovingly and through an approach of relating openly? Could gender itself be seen as something else than an entity? Could there be approaches of worshipping lovingly that are more about relating, about process, activity, development than approaches that assume gender as entity? For example: Doing gender? Gendering? Relating openly with a fluid and diverse approach regarding all the qualities of the people involved, including gender? Or could there be an approach according to which we humans love each other as humans? Instead of cultivating gender stereotypes? Instead of cultivating personality traits? Do you know places in NordicCity (Europe? The world?) with tantra approaches that are about relating openly and lovingly beyond binary gender stereotypes? Warm regards from NordicCountry toIndia! P.S. : The names of persons, events and places have been changed. Fik du nogensinde svar på brevet?